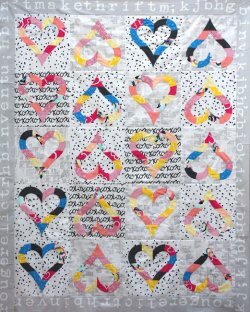 The hearts can be made using 7-10 fat quarters. This pattern is complete with a template for the hearts as well as great instructions. Go to the original article to see some tips about using glue when paper piecing. "I love hearts!! All types and all forms. I don’t think anyone can have enough of them. Nor do I think we can have enough love. I have wanted to create an English Paper Piecing project for Valentine’s Day for a long time now. This is definitely not that project. The project I visualized was an embellished wall hanging with totally different hearts. But this project is perfect for our time. I feel like it is symbolic, in a sense, in that we are all on different paths going in different directions. We all have so much love to share. 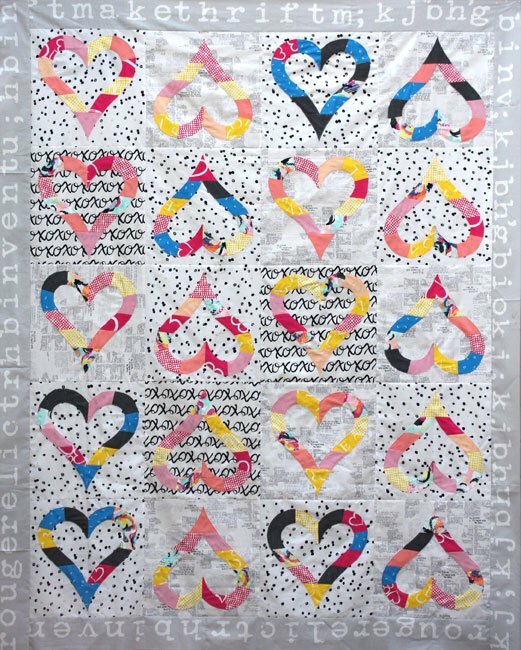 That is why I made this Whole Lotta Love quilt pattern and the best part is, it’s free!"